Looks incredible, especially with the almonds sprinkled on top! Oooh what a clever use of quinoa flakes. I will admit to making them almost the same time every time I make them (cocoa & almond butter – like a big almond butter cup bowl haha). I will definitely be trying these next time! This was a great festive bowl! Oh so festive and yummy! Oh I love gingerbread. I shall be saving this to try soon. This sure looks like a breakfast or anytime meal that would make any day special – especially with the chocolate in it. Pinned & tweeted! Oooh, I love gingerbread anything so these would be perfect for me! Yum! The gingerbread flavor is perfect for December! What a coincidence. I have Pinterest board for quinoa recipes and one for ginger too. I’ll admit that I don’t usually do anything but yogurt for breakfast, but this bowl intrigues me – for obvious reasons 🙂 Happy Holidays. I think you need to change up that yogurt! Yum! I’ve got gingerbread on the brain lately and this looks amazing! I haven’t made or had anything gingerbread yet! I plan on baking something up this week though! I have been thinking of attempting to make gingerbread cookies this year and now your post has really inspired me. Thanks for all the yummy recipes. And, I love the quinoa flakes..it looks sooo good!!!! Great to find another QF lover! Yum! Pinned so I can refer back to this excellent round-up. I’ll have to try one of these for Christmas morning breakfast. I’m with you, I jump aboard the gingerbread loving train every Christmas. Recently I posted a gingerbread pancake recipe that I’m totally obsessed with and today I’m going to whip up a bunch of our family’s favourite healthy gingerbread cookies! Awh thank you for this! 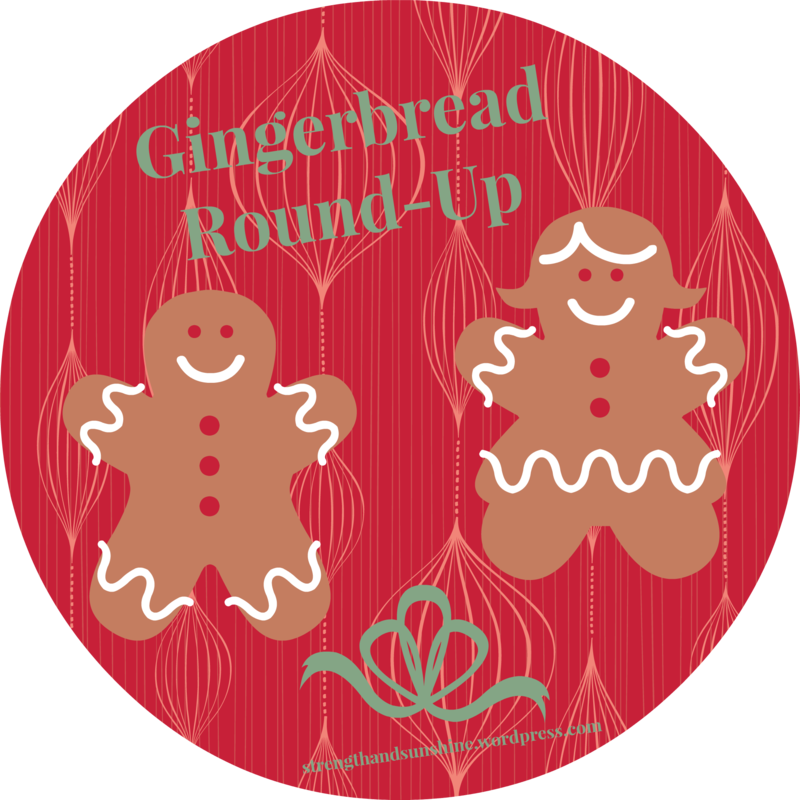 I have been loving the gingerbread flavor..can’t wait to look at some of the others you featured! Gingerbread is my absolute favorite winter flavor, I can’t get enough of it! I am hoping to make Davida’s choc gingerbread bars soon! My sister is on a gluten free/paleo diet because of skin issues and I think I’m going to pass this blog post on to her! Are any of the recipes paleo? My sister should be able to tell but I figured I’d ask! Thanks so much for posting this awesome long list! Yes many of them are! Totally pass it along, let me know if she found it helpful in her gingerbread pursuits! Thanks for including me lovely!! I eat gingerbread year round. It’s by far my favourite flavor! GREAT post! I love, love love Gingerbread! Just what I needed to see. There are so many great recipes….I am having such a hard time figuring out what I want to try and make for Christmas! Thanks so much for the mention, Rebecca! And yes, I ADORE gingerbread! Can’t get enough of it this year! Thank you for sharing my Gingerbread Smoothie! Everything sounds amazing! I have to check out all of the other recipes! I can’t get enough Gingerbread! Happy Holidays to you! !